The flagship bottling from this famous Speyside distiller. A dessert-like dram, this is perfect for rounding off a rich meal. Matured in a mixture of former Bourbon (or “whisky oak” as the distillery calls them) and ex-Oloroso sherry casks, this is a whisky that exudes balance and complexity. After maturation, the whiskies are married together for between 3 and 4 months in large wooden vessels called “tuns”, a classic Balvenie touch. Drinkers should expect notes of toffee, vanilla, woodspice and bananas from the Bourbon cask, whilst the sherry cask lends flavours of dried fruit, chocolate, Christmas spices, fresh berries and coffee. 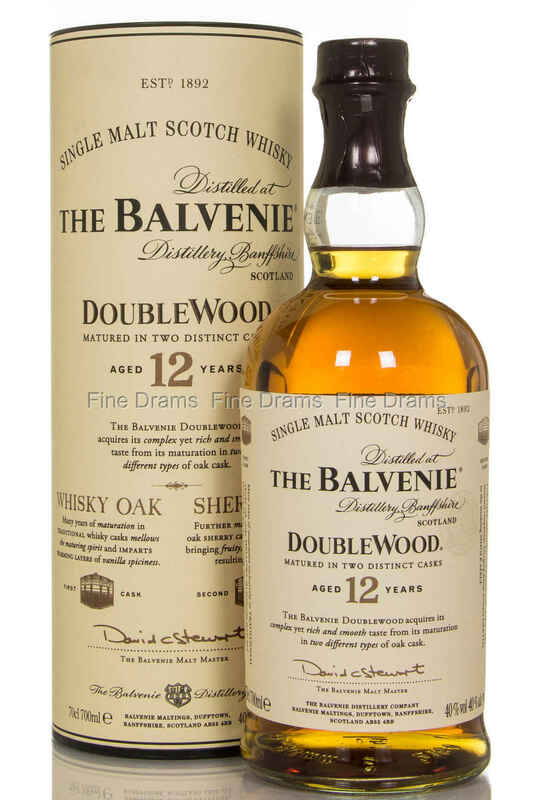 Typical Balvenie notes of honey and warm malt are present throughout. An approachable and harmonious whisky, this is a wonderful introduction to the spirit of what is doubtless one of Scotland’s finest distilleries.